The weather is heating up and the sun is shining, but as the seasons change and summer draws near, the forecast for severe storms increases. Protect your home before severe storm season hits by investing in a generator today. Our automatic standby generators will give you peace of mind during a power outage, especially if you are not at home. Without the generator, you can subject your home to flooding, mold, uncomfortable heat, humidity, allergies and more. Once you own a generator, you’ll find comfort in knowing that your generator will automatically start immediately after a power outage, so you won’t have to return home to toss out spoiled food from your refrigerator or sit around the house in the dark without the Internet or television. Get a jumpstart on protecting your home with a Generac generator installation by scheduling a free in-home consultation so that we can discuss the right option for you. 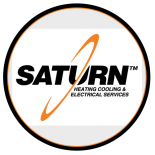 Click here to contact Saturn Heating Cooling & Electrical today.